Get an Orange County Traffic Ticket? You Can Beat It! Did You Get a Ticket in Orange County, California? You can fight Orange traffic tickets by getting them dismissed much easier than you may think. In Orange, California, drivers are allowed to contest a traffic ticket using a Trial by Written Declaration. This is best way to fight a traffic ticket without going to an Orange courthouse or hiring an expensive Orange traffic ticket lawyer. We have found this to be the best way to contest a California traffic ticket, period. This option is available to every driver who receives a traffic ticket in Orange, California. In fact, if you turn over your traffic ticket you will see that a Trial by Written Declaration is listed right on the back of your ticket as one way to fight it. This process has been around since 1978 to avoid having to pay traffic ticket fines. TicketBust has been helping California drivers prepare Trial by Written Declaration’s for over 14 years. In fact, tens of thousands of vehicle tickets in California have been contested using our system. We are the original traffic ticket fighter and the TicketBust system has been developed specifically to prepare all your documents properly based on how you answer a few questions. This way you can fight your ticket, knowing you have maximized your chances of having the court dismiss your Orange County traffic ticket. TicketBust service will prepare your full defense package for you, which includes your Trial by Written Declaration and all the defense documents required by Orange traffic court. Fill out the yellow form to fight your Orange traffic ticket now! Did you know that you aren’t allowed to pass the white limit line when you are stopped at an intersection? From our experience, this can be a common ticket issued in the county of Orange, so be on the lookout and stay behind that solid white line. If you find yourself having received a traffic ticket in Orange, give us a call or fill out our form to see how we can help! In 1887, silver was discovered in the Santa Ana Mountains attacting many settlers to the area on the Santa Fe and Southern Pacific Railroads. The growth led to the divide of Los Angeles County and the creation of Orange County in March of 1889. 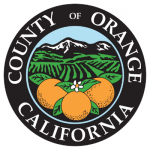 It is said that Orange County is named after the citrus fruit to promote the idea that the area could be a paradise where anything could grow. Orange County benefited from the completion of the Pacific Electric Railway in 1904 and gained in popularity as it grew to be known as the weekend getaway retreat for Hollywood celebrities. Today, roughly 3.2 million people live in Orange County, making it the third most populous county in the state of California and the sixth most populous in the United States. In fact, Orange County is more populated than twenty-one of the U.S. states and only consists of 948 square miles. It is bordered on the southwest by the Pacific Ocean, on the north by L.A. County, on the southeast by San Bernardino and Riverside Counties, and on the southeast by San Diego County. Orange County is one of the most visited areas in the world, home to Disneyland California, Knott’s Berry Farm, and 40 miles of coastline with some of the most popular beaches in California. The county is home to the largest mall in California, the South Coast Plaza Mall in Costa Mesa, California, as well as the location for several Fortune 500 companies’ headquarters, including Ingram Micro, Broadcom, and Pacific Life. Orange County and, more specifically, Huntington Beach also serves as the annual host of the U.S. Surf Open, the AVP Pro Beach Volleyball tournament and the Vans World Championship of Skateboarding.